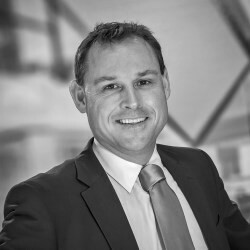 Simon is born and bred in the Goulburn Valley and is a passionate advocate and Court lawyer and litigator. He primarily practices in family law, civil and commercial disputes and criminal law. His strengths lie in being a clear and concise communicator with outstanding customer service skills. Simon’s previous commercial experience in management, training and advertising lend themselves well to his accomplished practice of the law. Plaintiff & Defendant advocacy across Victorian Courts & Tribunals in a wide variety of civil & commercial matters. Defence and Prosecution advocate in criminal matters across Victorian jurisdictions. Prosecution advocate for a range of local government legislative matters. Advice in relation to matters before the Independent Broad-based Anti-corruption Commission (IBAC) and Victorian Ombudsman.